Input kicked off the holiday season, as they do every year, with the company’s 8th annual holiday party. 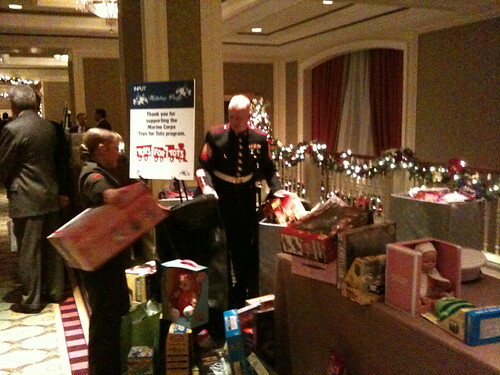 There was a new location this year for the first time — the Ritz in Tysons — but the event still benefits the U.S. Marine Corps Toys for Tots program. * USDA’s management reorganization: This is still a very hot topic. Of course, as the DorobekInsider reported, USDA just last week got approval for buy outs and early retirements. The changes have been controversial within the organization — there seems to be a growing consensus that USDA just isn’t talking about their plans enough — or at all, which I continue to just find baffling. But there are very differing views on whether the management reorg is a good idea or not. But now people are saying there could be more shifts coming. We’ll keep an eye on it. * Chris Niedermayer to leave USPTO for HUD: I haven’t been able to confirm with Neidermayer yet — and he was gone by the time I arrived — but a number of people last night told me Neidermayer was at the Input party and his name tag identified him as being with HUD, where he would again be teamed with relatively new HUD CIO Jerry Williams, who has been at the department since July. UPDATE: Confirmed — Neidermayer will join HUD as deputy CIO for business and IT modernization. * Federal News Radio’s new hire… A number of people asked me about Federal News Radio hiring Chris Forest, which the DorobekInsider reported last month. 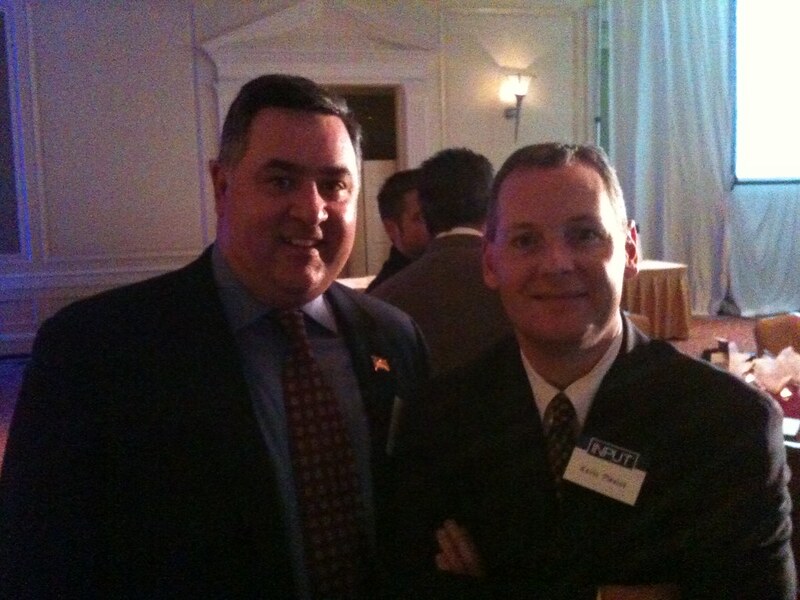 Forest has been in the government market for years and is well known, so the Input party was something of his first coming out as a part of the Federal News Radio team. See the complete set of my unflashed photos here… I’ll start bringing a real camera rather then just my iPhone.